The vast numbers and diversity of living things that populate our planet are in catastrophic decline – referred to by many scientists as Earth’s sixth mass extinction. But as Matthew Greenwell and Tom Oliver explain, it’s not only declining biodiversity we need to worry about but also genetic diversity within species. Biodiversity loss (the decline of both the number of individuals and species from our landscapes) is happening at an alarming rate and it’s happening now. This is a view expressed by countless environmentalists, green campaigners and scientists at ever increasing volumes. At a glance though it is hard to see what all the fuss is about. 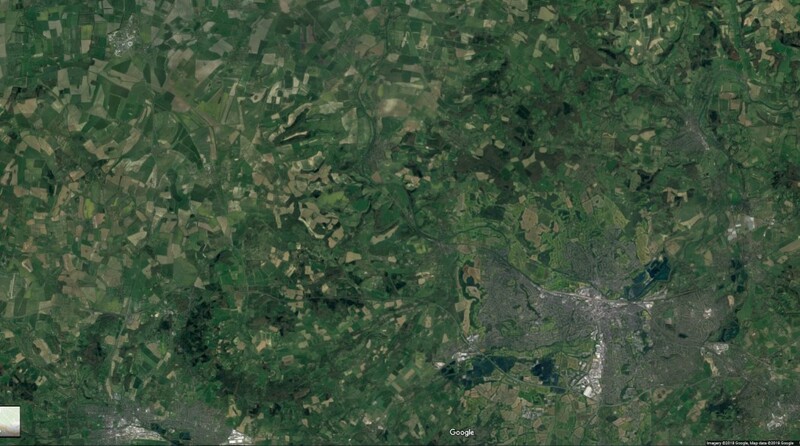 England still appears to be a green and pleasant land, with vast areas still covered in fields. But therein lies the fundamental problem. Our current views and understanding of what the countryside should be are a far cry from what they once were and what our wildlife requires to survive into the future. Britain from above. 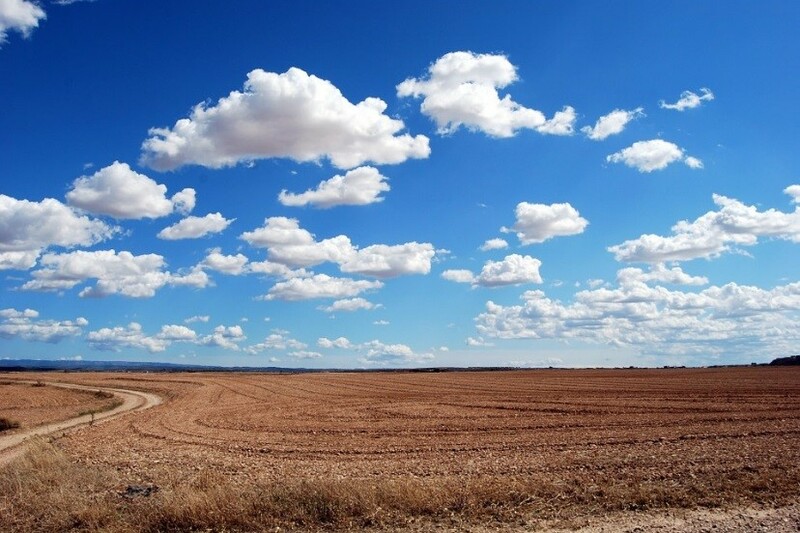 On the surface the countryside in the UK is still picturesque, conjuring up visions of a green and pleasant land. In recent decades biodiversity has been declining globally. This is not something we can sit back and blame on habitat destruction and urbanisation elsewhere in the world. Here in the UK we have lost significantly more biodiversity than the global average, with 56% of recorded species declining between 1970 and 2013 according to the 2016 State of Nature report, ranking us the 29th worst out of the 218 countries analysed. These global declines, occurring in virtually every country on earth, have provoked both national and international responses. One such example is the Convention on Biological Diversity’s (CBD) Strategic Goal: ‘to improve the status of biodiversity by safeguarding ecosystems, species and genetic diversity’. In the UK, the government’s Biodiversity 2020 strategy aims to ‘halt overall biodiversity loss, support healthy well-functioning ecosystems and establish coherent ecological networks, with more and better places for nature for the benefit of wildlife and people’. Thankfully in many cases we know broadly what needs to be done to reduce biodiversity loss and protect our ecosystems and species, we just need to muster the ambition, forethought and drive to act upon these targets and strategies. There is however, one crucial aspect of biodiversity that even now we know very little about: genetic diversity. This isn’t surprising, as you can’t see genetic diversity and many of us don’t even realise it is a conservation issue. This could prove to be catastrophic for the long term survival of our wildlife. The reason genetic diversity is of such conservation concern is that it allows populations to adapt to changes in the environment, and with climate change driving more extreme weather events this is even more crucial. However to conserve something you first need to know something about it. In recognition of this knowledge gap, the CBD set a target to maintain the genetic diversity of cultivated plants and farmed and domesticated animals and of wild relatives by 2020 and to develop and implement strategies for ‘minimizing genetic erosion’. Despite this target, part of a whole host of conservation targets signed by 168 countries including the UK, it’s concerning that we still know almost nothing about the levels and status of genetic diversity in our wildlife. In a worst case scenario, the genetic diversity of our wild species could already have declined, due to habitat loss and fragmentation, leaving them nothing more than homogenous ‘shells’, fragile to future environmental changes. We urgently need to be able to monitor changes in the genetic diversity of our wildlife, and with only two years to go before the target deadline we have a lot of work to do. This is where the Butterfly Genetics Monitoring Scheme (BGEMS) comes in. BGEMS is a collaborative project, made up of a team of researchers from the University of Reading, Centre for Ecology and Hydrology, Forest Research and Cardiff University. 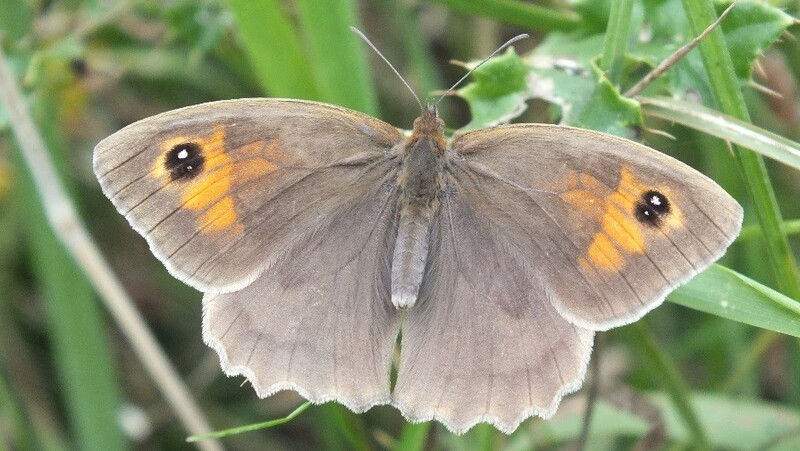 Our team is investigating the genetic diversity of our most common butterfly species, the meadow brown. We can use this common species as an indicator for the genetic diversity of other species, whilst refining the techniques and methods used. In time this will allow us to directly measure the genetic diversity of rarer species. The meadow brown is the UK’s most common butterfly species and can be found almost anywhere in the country during the summer months. 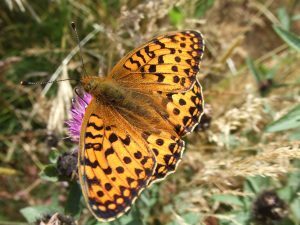 As part of an international collaboration between nine European research institutions, butterfly samples have been taken across the continent in recent years to assess differences in genetic variation between populations and whether the levels of genetic variation are changing over time. We can extract DNA from the samples and use a technique called microsatellite analysis (the same technique used by forensics laboratories to DNA profile crime scenes) to measure the levels of genetic variability within and between populations. By tracking the different levels of genetic diversity, we can start to report on the CBD targets and to understand whether we are undergoing a previously hidden, silent loss in this dimension of the nation’s biodiversity. It also allows us to identify sites that are more isolated and where we should prioritise restoration to connect sites allowing better flow of individuals and their genes. 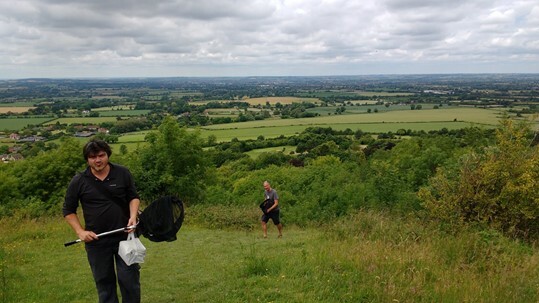 Meadow brown sample collection is carried out after the flight period has peaked to ensure that the butterfly population is not affected by the scheme. Connectivity is the key. Fragmented landscapes are a major factor in biodiversity declines. In the UK intensive agriculture has led to the removal of many of our hedgerows and meadows, creating huge field systems which act as a barrier to the movements of many species. This is why at a glance the countryside still looks green, but from an environmental point of view is becoming increasingly barren. This is a disaster from a genetic point of view. If individuals cannot move easily between populations the gene flow between populations is severely reduced, resulting in a gradual reduction in genetic diversity over time. 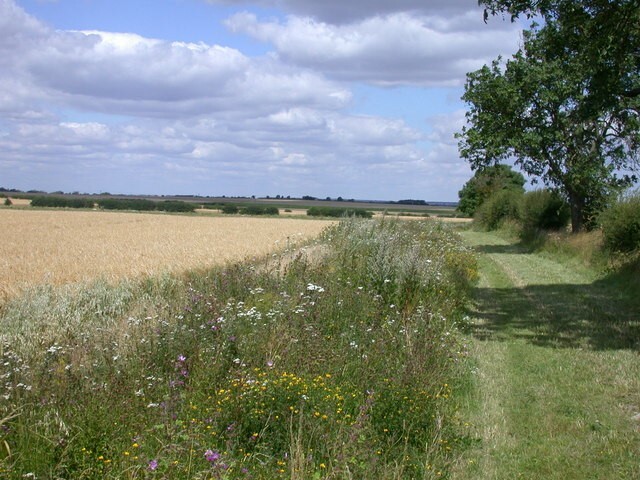 Increasing agricultural intensification has led to the removal of many hedgerows and wildflower meadows and has had a catastrophic effect on the UK’s biodiversity. Thankfully there is cause for optimism, with the importance of connectivity hitting the headlines as a result of the Protection of Pollinators Bill presented to Parliament this month. Under this bill wildflower corridors would be created along roadsides, arable land, and public grasslands, building ‘bee highways’ that would increase the connectivity of landscapes for all our pollinating insects from bees to beetles to butterflies and moths. This, coupled with aims from the government’s 25 Year Environment Plan ‘to extend wildlife corridors into towns and cities, and provide opportunities for conserving wildflowers and insect pollinators’ could be very beneficial for genetic diversity. The results from BGEMS will help us to ensure these measures are put in place in an evidence-based way, so that habitats are connected up in the best way to maximise gene flow and maintain genetic diversity. 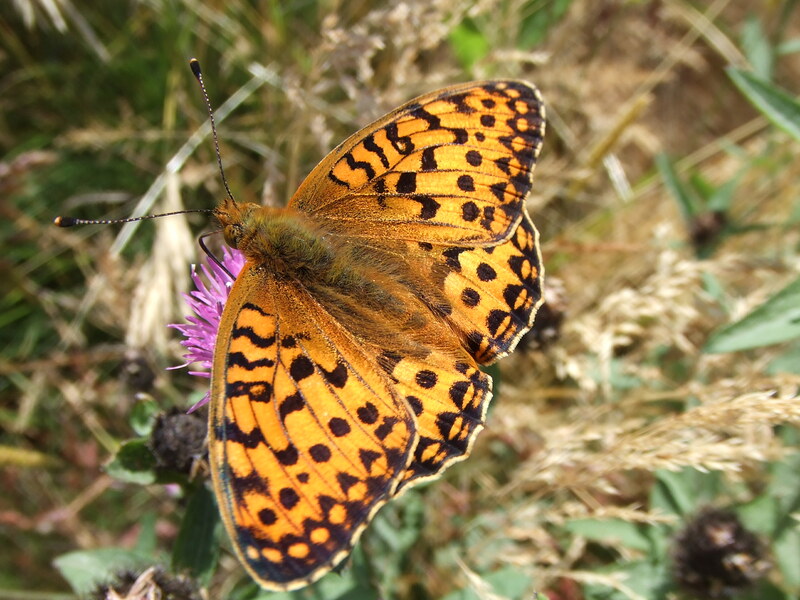 The previously overlooked aspect of the UK’s biodiversity is being revealed, one butterfly at a time. Wildflower strips bordering arable land are an example of how landscapes can be managed in a way that increases connectivity, allowing movement between populations and maintaining genetic diversity. Tom Oliver is an Associate Professor of Landscape Ecology at the University of Reading. He is Research Division Leader for their Ecology and Evolution Division and sits on the European Environment Agency scientific committee. His research focuses on understanding the interacting impacts of drivers upon biodiversity and consequent impacts for ecosystem functions and services.